We have literally hundreds of vintage scarves in the shop which can be used or worn in many ways. 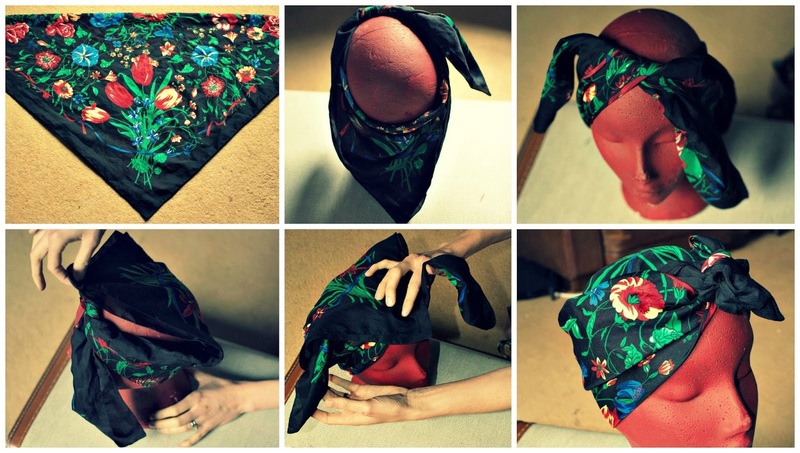 This is the start of a series on the ways you can use vintage headscarves. This time it's one of the most obvious ways: headscarves! 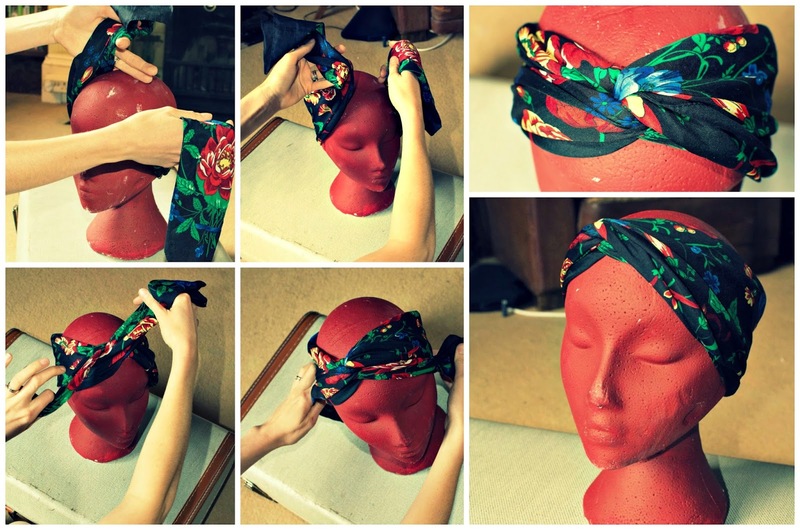 There are tons of tutorials on how to wear your vintage head scarf in a myriad of ways, and in the last year I have demonstrated more times than I care to remember how they can be tied! So for my customers past, present and future I will be directing you to this blog post for reference...although I am sure I will still be doing demo's in years to come as it is easier to see it in 3D. To clarify these by no means are the "official" ways to tie it or necessarily vintage authentic, but they are the easiest ones I have found. Start with a largish square scarf folded in to a triangle shape. Then place it on your neck with the triangle pointing down your neck (it is easier to have your hair tied back for this). Next tie the two ends at the front once. Pull the point forward and then tie again creating the initial turban shape. Then it is a case of tucking, primping and adding hair pins to get the desired look. This scarf tie leaves most of your hair uncovered, and you can tie it one of two ways. Start with the scarf in a long shape (either a long thing scarf or a square scarf folded accordingly). 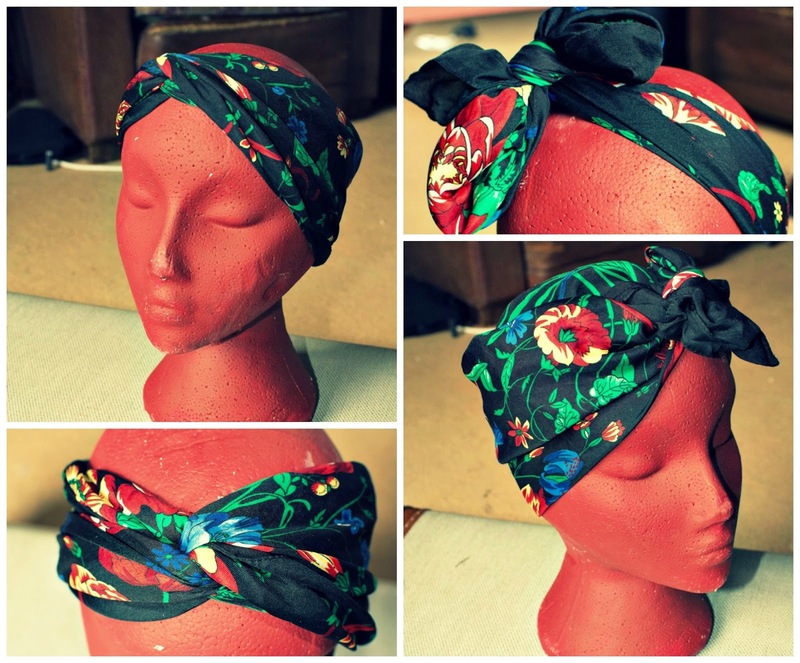 There are millions of other ways to tie a headscarf, and millions of ways of doing the above ties... we don't claim to be experts in head scarf tying but we not what works on us and we hope it works for you! Let us know if you have any other nifty headscarf ties.